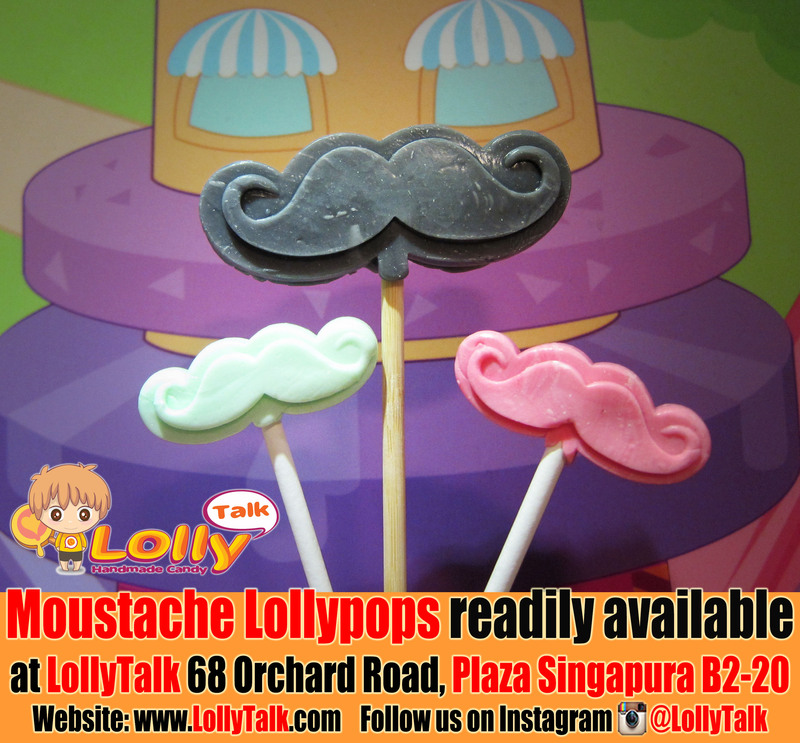 LollyTalk’s Moustache Lollypops readily available at our flagship outlet LollyTalk At Plaza Singapura B2-20! 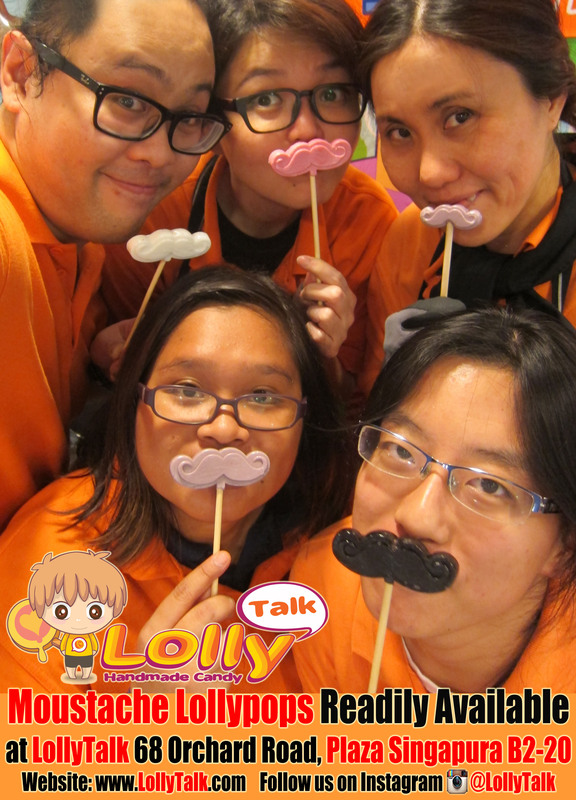 Everyone is having fun & taking lots of photos with it! What about you? 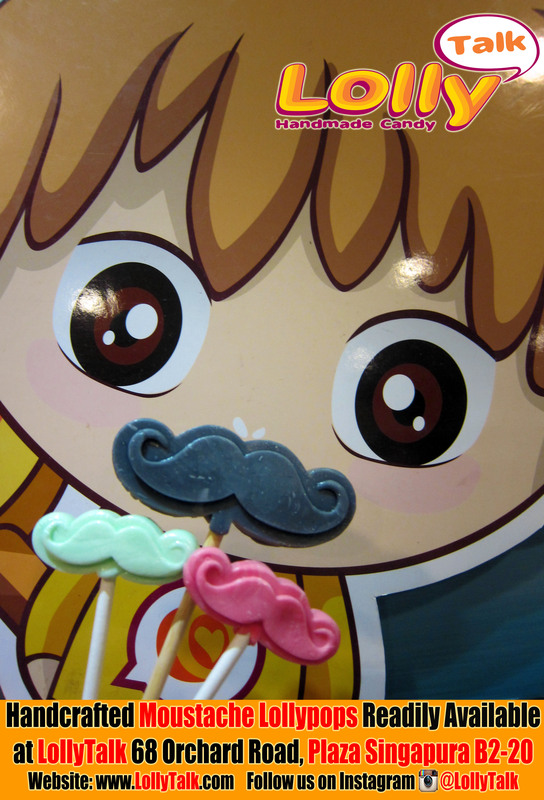 For corporate orders, we can even customize various shapes and design based on your requirements!!! 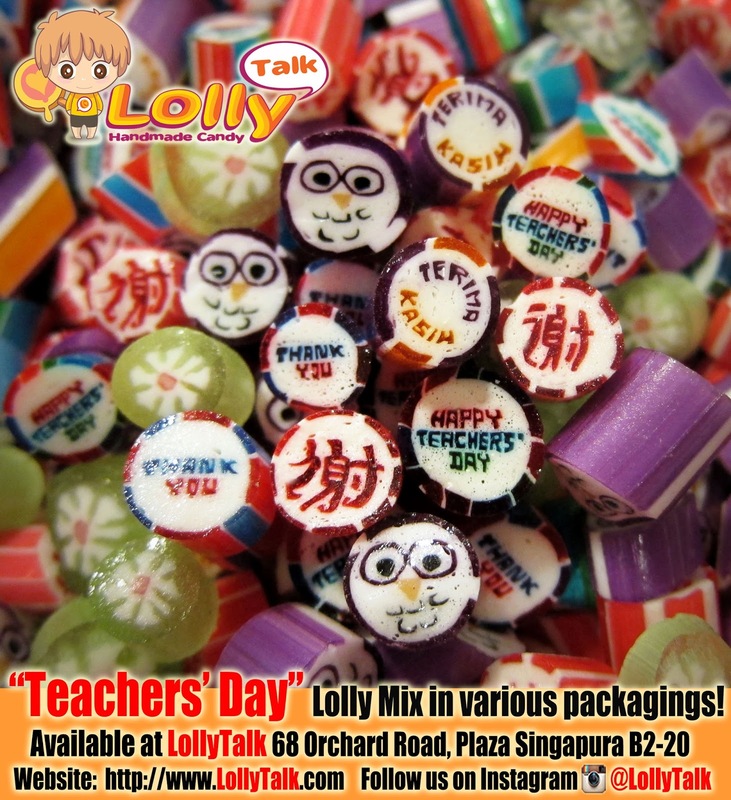 Lollypops can be further personalised via sticky labels pasted on the wrappers or edible labels pasted on the lollypops. 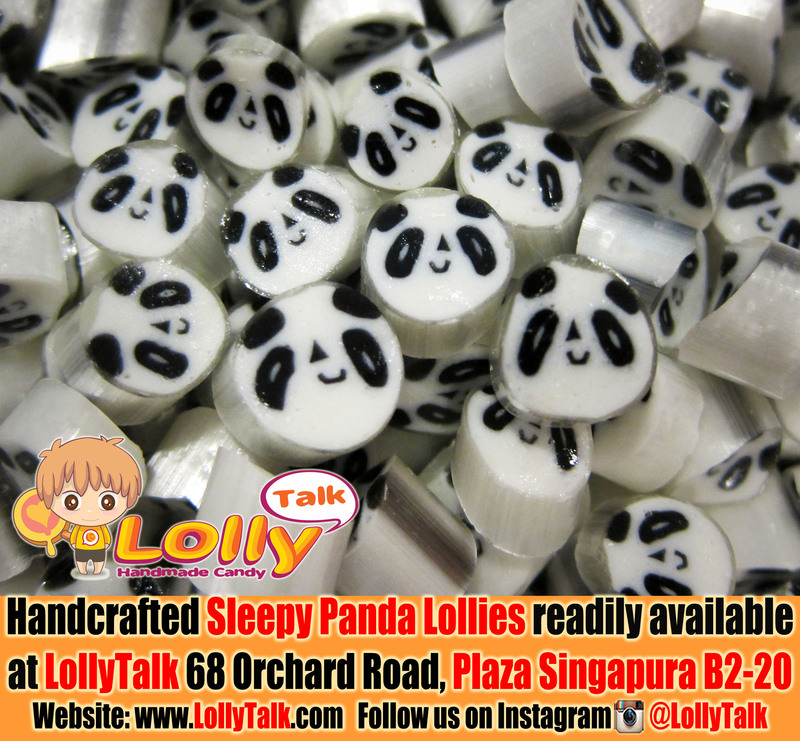 Other lollypops with Interesting design are also readily available in the shop, so faster grab yours before it’s all gone! 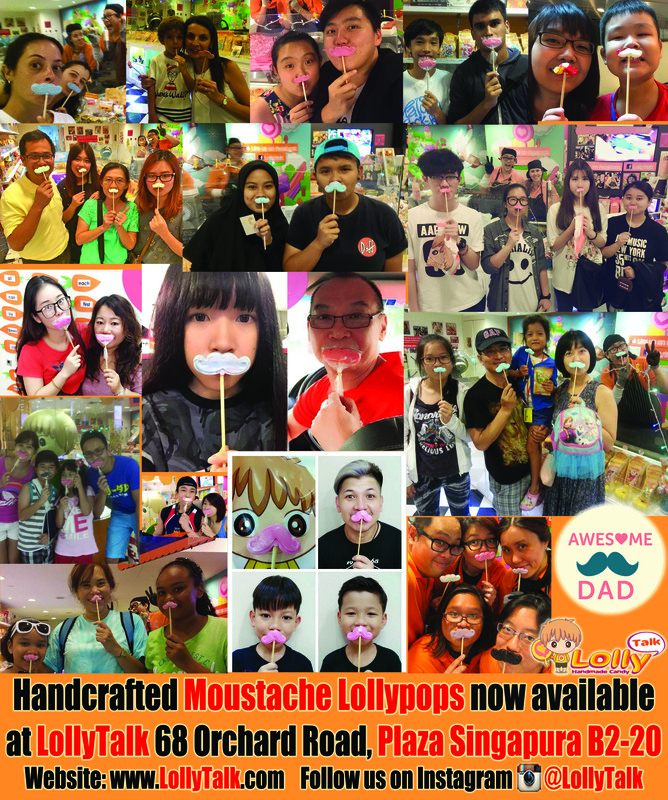 A great gifting idea, since every piece of the lollipop is uniquely handcrafted… you will never find another one the same! 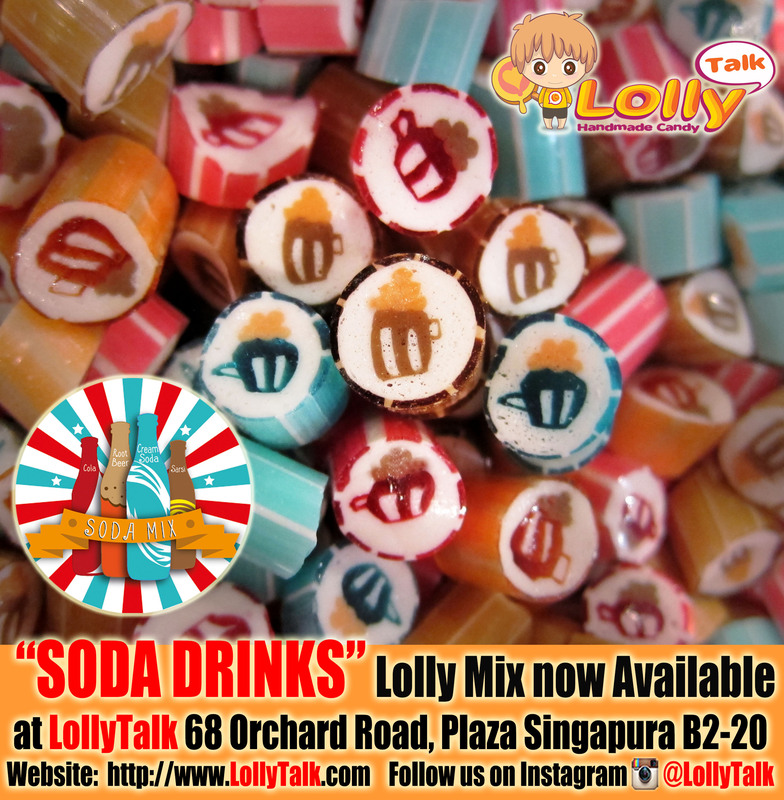 When it comes to getting your lollypops, always trust LollyTalk, the Lollypop.Guru!!! Ideal door gifts too for various corporate events, great as wedding favours, baby shower door gifts and birthday parties! 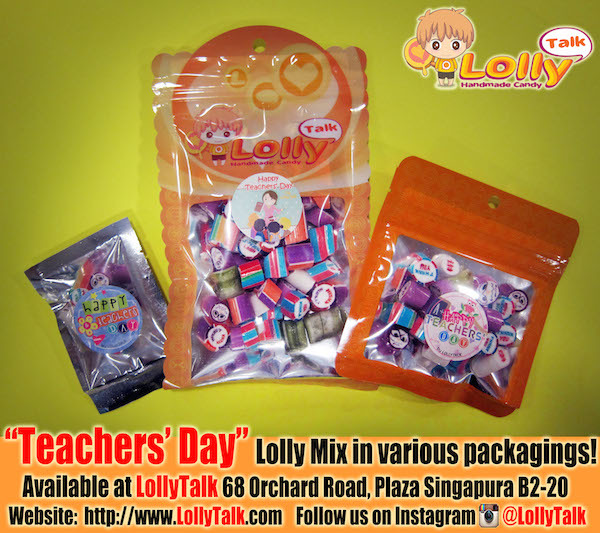 “Thank You Mix” as gifting candy available at LollyTalk 68 Orchard Road, Plaza Singapura B2-20! 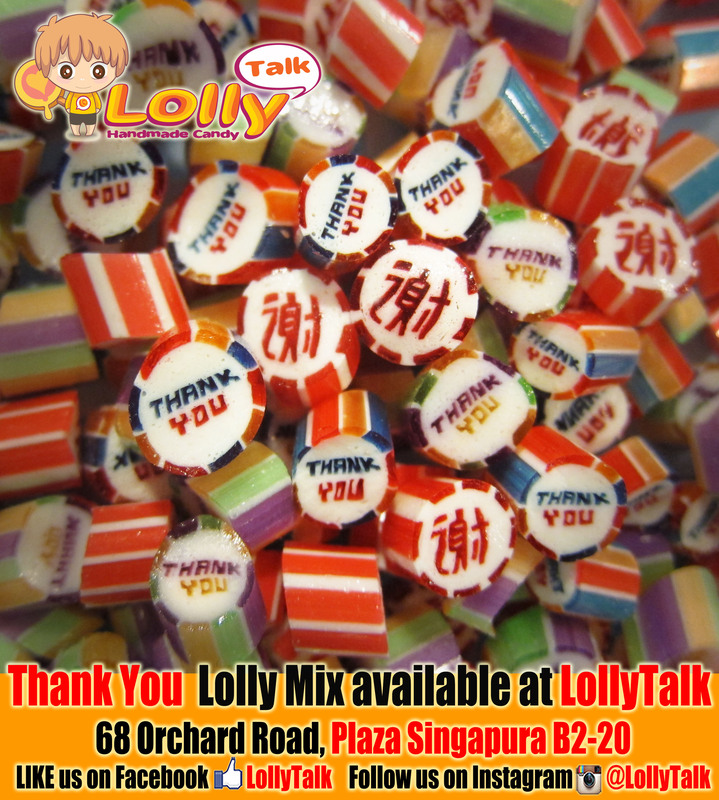 Consist of Thank You and “谢”(Thank You in Chinese) lolly!!! 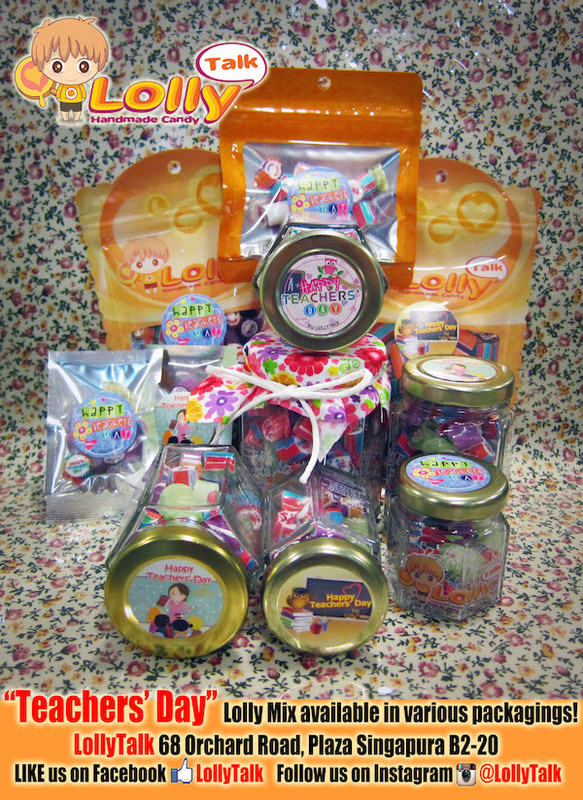 Ideal gifts to express to appreciation and to thank someone special!! !